The XF200mmF2 R LM OIS WR super fast telephoto lens with XF1.4X TC F2 WR teleconverter has the focal length equivalent to 305mm in 35mm format, which is extended by 1.4 times thanks to the high performance teleconverter, allowing the lens to cover a focal length equivalent to 427mm in 35mm format. This lens is recommended for shooting sports and wildlife, according to Fujifilm. This lens is due to be available in Australia in October for $8,999. In New Zealand, the FUJINON XF200mmF2 has an indicative price of $9,999 and is due to land in late October 2018. The XF8-16mmF2.8 R LM WR fast, ultra-wide angle zoom lens has a constant maximum aperture of F2.8 and the focal length equivalent to 12-24mm in 35mm format. The edge-to-edge image-resolving performance and F2.8 maximum aperture makes this lens a good choice for landscape and architecture photography, according to Fujifilm. This lens is due to be available in Australia in November for $3,199. In New Zealand, the FUJINON XF8-16mmF2.8 has an indicative price of $3,799 and is due late November 2018. The XF16mmF2.8 R WR compact prime lens has the focal length equivalent to 24mm in the 35mm format and a maximum aperture of F2.8. Fujifilm recommends this lens for landscape and travel photography. 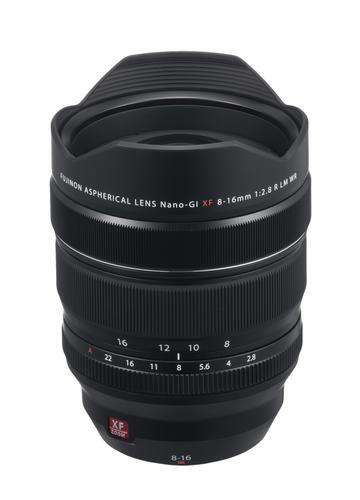 Australian availability and pricing for this lens is to be confirmed. The XF16-80mmF4 R OIS WR standard zoom lens boasts a 5x zoom range equivalent to 24-120mm in the 35mm format while keeping a constant maximum aperture of F4.0. Its broad focal range makes it a very versatile lens capable of covering a wide range of shooting scenarios, according to Fujifilm. The XF33mmF1 R WR Ultra-fast prime lens will be the world’s first mirrorless camera lens with a maximum aperture of F1.0 and Autofocus capability. For more information, visit www.fujifilm-x.com.